Saw these two living rooms the other day where lavender is the connecting theme. The first is a living room with very subtle accents in a light shade of purple. 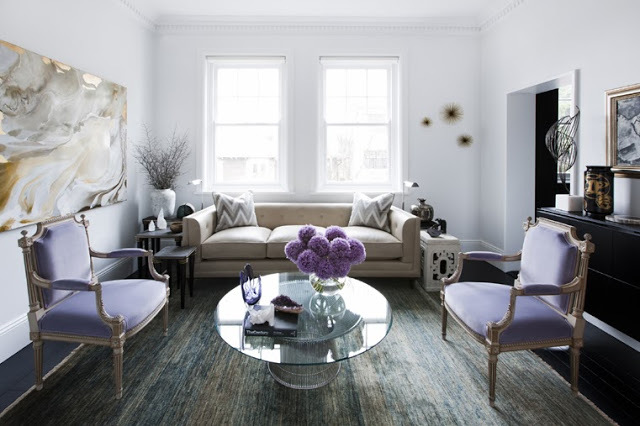 While the second, takes on lavender living with zest by incorporating a lilac colored sea grass wallpaper and then punches up the decor with even more purple with the ikat upholstery on the side chairs…oh and did I mention the orange sofa. So today I ask you…which of these two living rooms do you prefer? Could you see yourself living with lavender? A Los Angeles native, Coco leads a double life: an executive by day and an interior design blogger and home furnishings designer by night. This is only left in small and XS. A great khaki jacket. That relaxed army jacket look for spring! 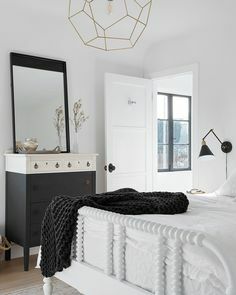 Could live in the first space. Thinking the second room would be too much color for me. Love this color. It really seems almost like a neutral. Every color looks great with it. I like aspects of both, but I really love that poppy-colored sofa with the lavender pillows. I’d opt for a stark, white backdrop though- the lavender wallpaper is a bit overkill and too Easter-eggy for me. I haven’t been a fan of purple, in general, since my pre-teen days I the late ’80s. 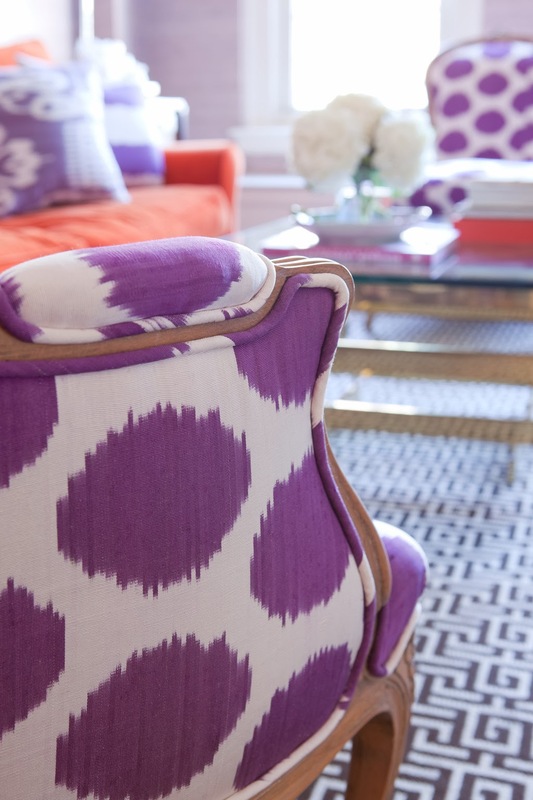 I do like the purple splotchy ikat chairs, but I can’t so much handle the pastel shades. Still crushing on this kitchen at the home of @CasaMidy @annemariemidy. San Miguel de Allende visit was a dream! I want to go back! Bathing beauty @CasaMidy in San Miguel de Allende. Swipe left to see the view from this bath master bathroom in the home of furniture designers Anne Marie Midy and Jorge Almada. No I didn’t take a bath here but I did stay in this gorgeous room. I was tempted to take a soak but far too busy ogling over all of the beautiful rooms in this Mexican villa over the long weekend! Love everything about this tub view. The eclectic mix of styles including the Chinoiserie red screen! If invited, no question I would come back! Wouldn’t you? Easing into Monday here @casamidy in San Miguel de Allende. This is the main salon at the beautiful home of Anne Marie Midy and Jorge Almada - where I am staying in Mexico. It has been such a thrill to be a guest here in this lovely villa in the center of town. The living room is particularly delightful. Large French doors, high ceilings, filled with Casamidy furniture and a mix of found objets! Love this place.